[Article: 24 June, 2017]Samsung's newest smartphones, the Galaxy S8 and S8+ are the best smartphones ever in terms of design. While the Galaxy S9 is away for a year, the focus is shifted towards the middle smartphone Galaxy Note 8, which is also said to feature the same design language as S8 and S8+. In latest leaks, it’s reported that the Note 8 will contain horizontal dual rear cameras to the back, each of which features a 12-megapixel sensor and independent optical image stabilization for the lens. The fingerprint sensor will be placed next to the camera, just like the Galaxy S8 and S8 Plus. 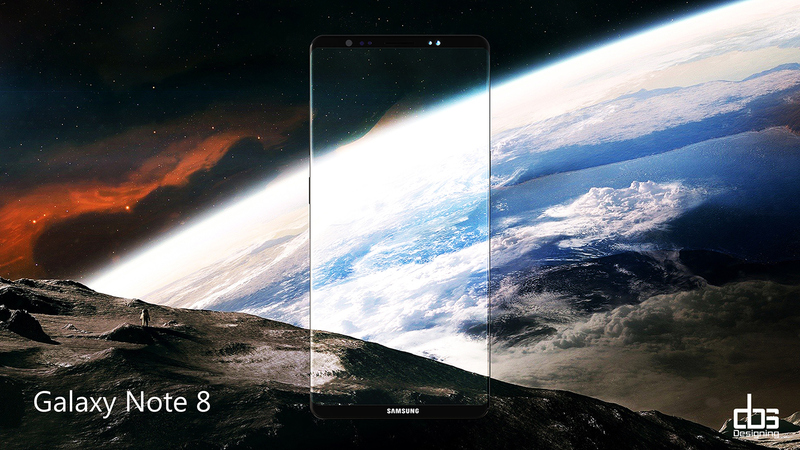 Reportedly, the Samsung Galaxy Note 8 will feature a 6.3-inch edge-to-edge display with 18.5:9 aspect ratio, Exynos 8895 and Qualcomm Snapdragon 835 chipsets, depending on the market coupled with 6GB RAM. To the software side, the Samsung Galaxy Note 8 will be having an improved split-screen multitasking, S Pen with enhanced features such as full-sentence language translation and currency conversion, and the ability to pin handwritten notes to the always-on display. That said, the Samsung Galaxy Note 8 will be coming with a 3300mAh battery and will be announced in second half of September in black, blue, and gold color options. [Update: 13 July, 2017] According to the latest reports, Samsung might announce the Galaxy Note 8 on August 23rd.